Business description from prospectus - Reliable Data Services is primarily engaged in providing customized services to various Banks, financial institutions and other manufacturing industries in the field of management services, transaction processing services, human resources services and other allied services. The company is floated by a group of professionals having business interest in IT enabled services which includes web enabled services, remote services and covers the entire range of operations which exploit information technology for improving efficiency of an organization along with debt management services, collection from corporate clients, reconciliation, follow up and customized MIS etc. The company has entered into agreement with various leading MNC and Private Sector Banks like Standard Chartered Bank, Deutsche Bank, HSBC, HDFC Bank Ltd, ICICI Bank, Axis Bank, Citibank and Yes Bank for providing various support services. The agreement which the company entered with banks are short term and long term depending upon the type of services and its terms and conditions. Subsequently, few Public Sector Banks were also added to client list such as IDBI, Union Bank and Corporation Bank. The Company initiated operation by providing PDC Management Services/Presentation for ICICI Bank and later on other banks were added to the client list. The company is now engaged in collection services with mobile based application developed by banks, image based data processing and other backend processing on behalf of various banks. 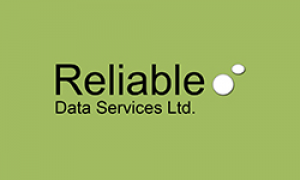 Reliable Data Services IPO allotment status is now available on Skyline Financial Services' website. Click on this link to get allotment status.